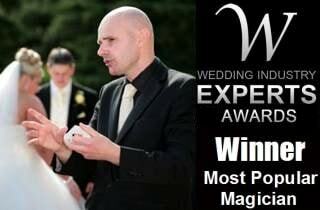 If you are looking for a Wedding magician, David Fox is the perfect choice in and around the Solihull area. David is available for all your party entertainment requirements throughout the Solihull area. 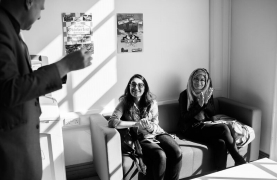 David's magic has helped many companies in the Solihull area increase their prestige both locally and thoughout the UK. Seeking some spectacular Solihull magic, illusion and entertainment? 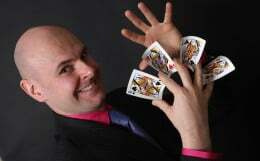 Solihull magician David Fox is ideal for your next important occasion. For magic throughout Warwickshire and the West Midlands, Mr Fox is the first choice conjurer for top brands such as Sytner BMW and Hilton Hotel group. David regularly performs at weddings and promotions throughout Solihull at exceptional venues such as St Johns Hotel, Warwick Road, and The Forest Hotel on Station Approach. World class packages of 'mix-and-mingle' magic, table entertainment, balloon modelling and even a stage show can be expertly crafted for your next important occasion.